"Kind of - I have a food blog." "What company do you work for?" "I don't, it's just me, I don't earn anything from it"
"Would you like a duck roll?" 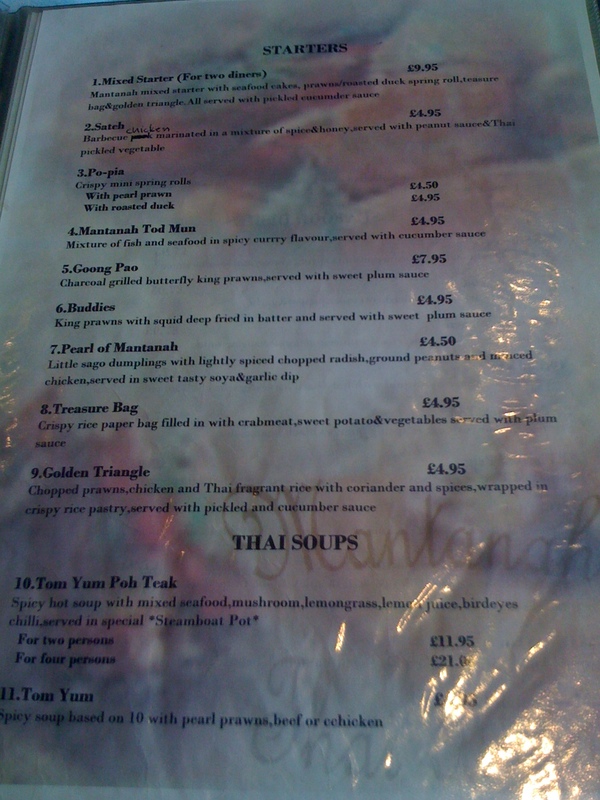 Most of the big names in Thai food in London were there (apart from Nahm, although based on everything I've heard this was perhaps a blessing), and it was nice to chat to the people from Patara and the Mango Tree and the Blue Elephant and try their food. 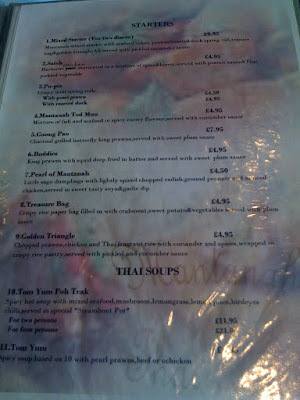 It all got me thinking though - where are the decent, mid-range Thai restaurants in London? 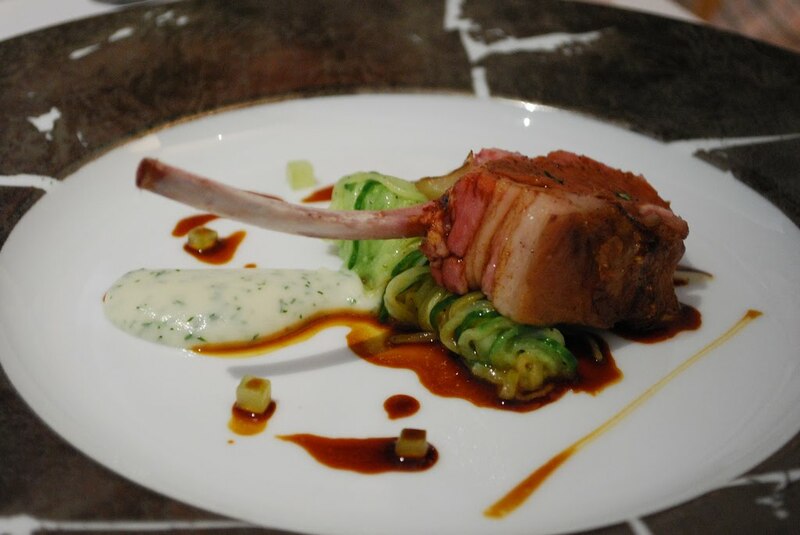 I have visited the Pataras in Mayfair and Soho and they're both very good, but these are high-end restaurants and the average spend per head can creep over £50 once you add in wine. At the bottom end of the scale you can pick up a Pad Thai for a few quid from the Whitecross Street market, but this is hardly anything to rave about. The food I had in Thailand, with its bold fresh flavours, unusual ingredients and a near-catastrophic level of chilli heat, was like nothing I've seen over here, and while I can appreciate that London restaurants may have to tone down the chilli slightly, I still haven't been anywhere for around £20 a head attempting anything much more than fishcakes and rice. 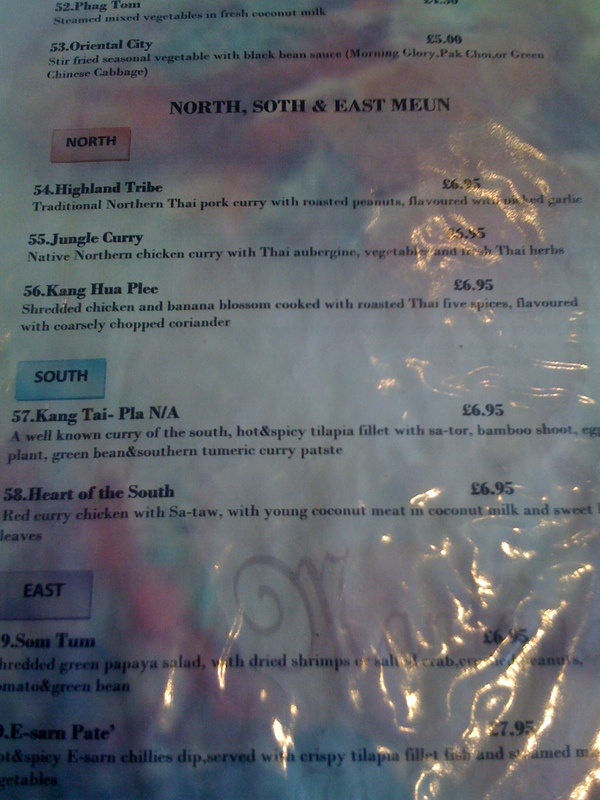 Still, at least fishcakes and rice are recognisably Thai. 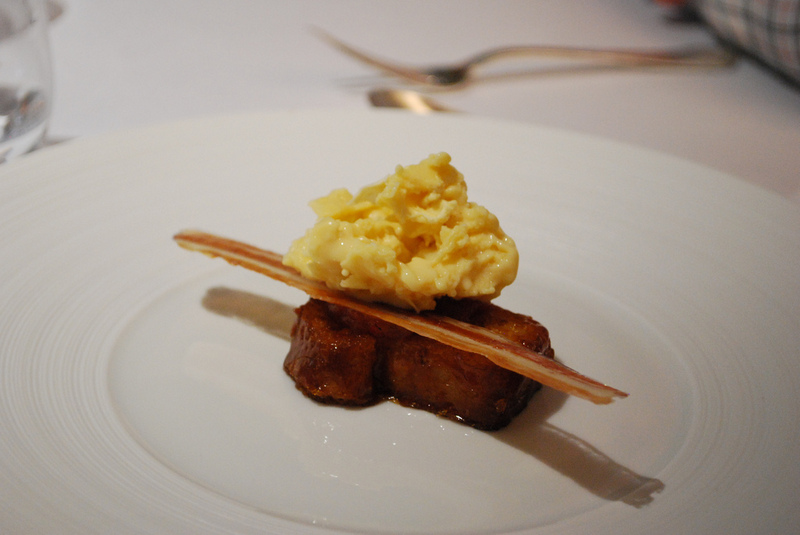 One stall on Wednesday, from a restaurant I won't name, offered me a canapé consisting of tamarind and foie gras. "We are calling it French-Thai fusion food!" the owner beamed. 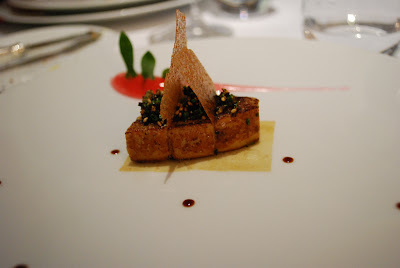 "We don't eat foie gras in Thailand!" he added happily, "People think it's disgusting!". I cried inside. 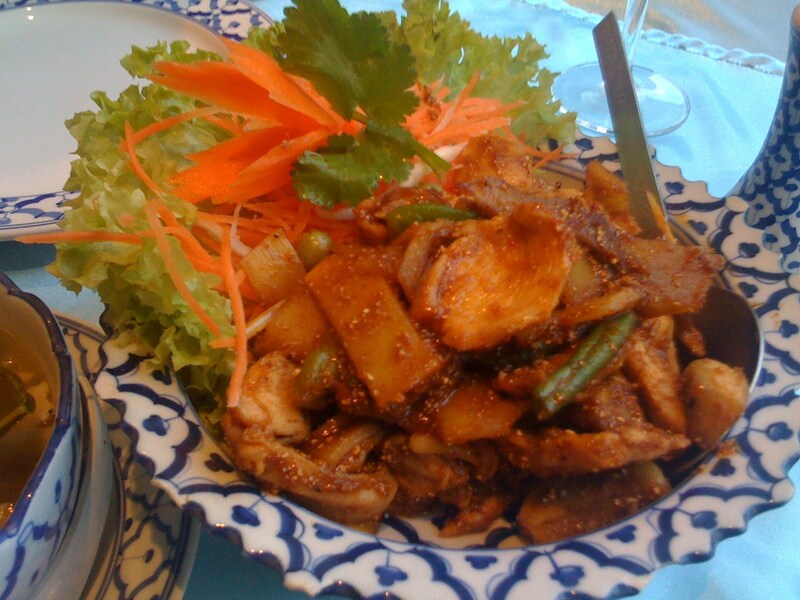 So the search for decent, affordable Thai food is on. Mantanah in South Norwood has been on my list for years, but it has taken until Wednesday's prompting to actually get me off my bum and onto the rickety half-hourly train service from Clapham Junction. If I was being kind I'd describe the location as 'unassuming' and the décor in the restaurant as 'faded', but some of the best food is produced in the unlikeliest locations, as anyone who's ever been to Whitechapel will tell you. We started with some sticks of battered and deep-fried sweet potato, and something called "Pearl of Mantanah". Way too many greasy battered potato pieces were matched with a gloopy sweet chilli sauce which if it wasn't bought in was doing a pretty good impression of something that was. 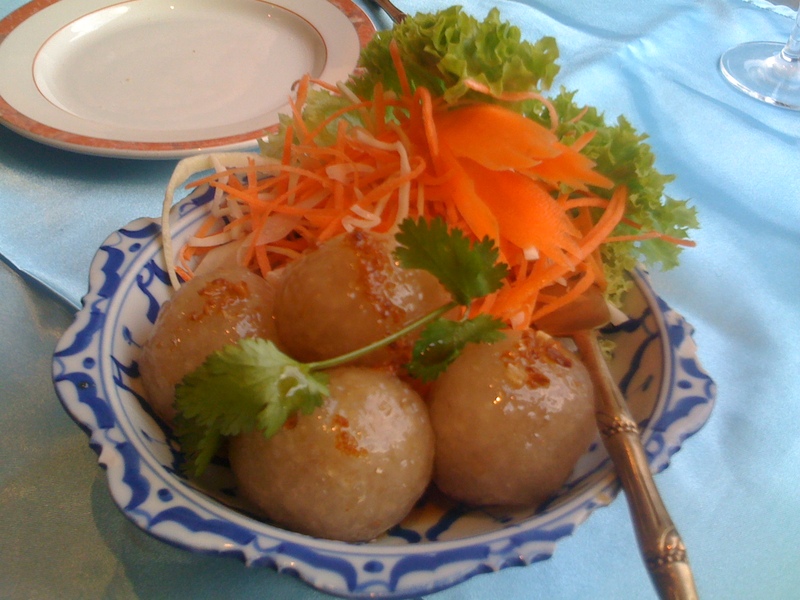 Worse though were the "Pearls", which were huge wobbly balls of sago containing a miniscule amount of peanut and chicken filling. The sago stuck to the insides of your mouth and glued your teeth together like putty - it really was pretty unpleasant, like something from a bush tucker trial. They either needed to use far more filling and far less sago or just abandon the idea altogether. Weird. 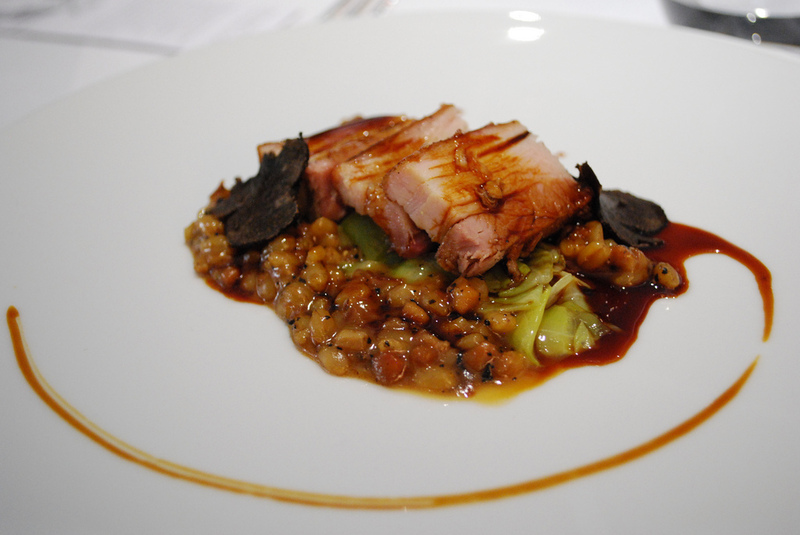 Mains were scarcely better. 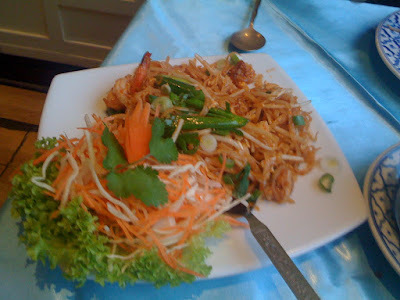 Pad Thai (our "control" dish) was greasy and way too sweet, a poor example of what is usually a tasty dish - even Thai Square can get this right. A chicken "jungle curry" had quite a nice broth but the pieces of chicken were overcooked and chewy and the flavours hadn't been allowed to mix together for long enough - there was no chilli hit at all until I unexpectedly bit through a whole chunk of the stuff and it blew my head off. 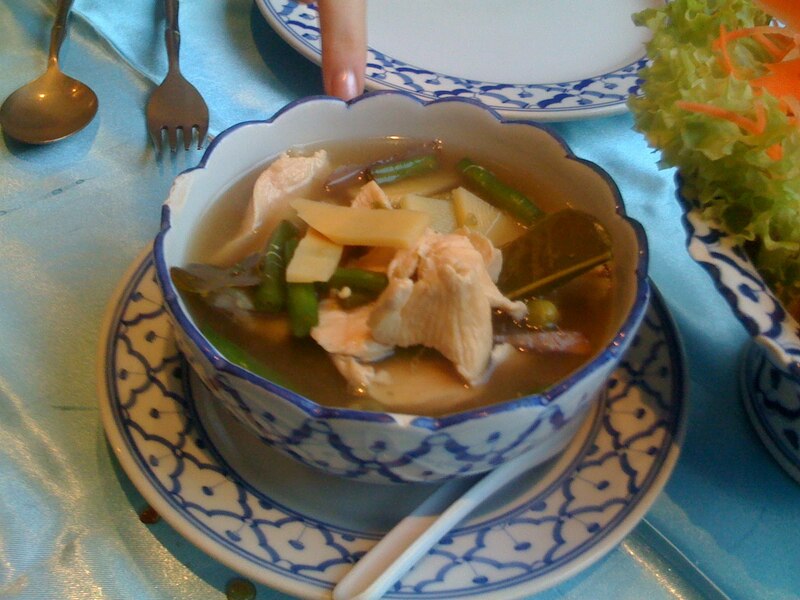 Only something called "E-sarn classic" showed any kind of promise, which although also too sweet had a nice flavour and good mix of proper Thai vegetables like pea aubergine. I was hardly expecting the greatest Thai experience of my life in Mantanah but I just came away with the impression that nobody in the restaurant really cared enough about anything they were doing. Tablecloths were dirty, glasses marked, and a bowl of water lilies by the front door was stagnant and ugly. The food, too, was clumsily seasoned and carelessly presented - the obvious comparison to make with SE Asian cuisine in the same price bracket is Mien Tay, where every last detail of every plate is fresh and beautiful. Mien Tay may be a one off, but it at least demonstrates how good SE Asian cuisine can be while resisting the temptation to use foie gras and charge £50/head. 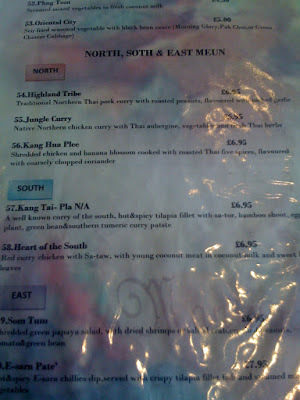 It's strange that Thai food in Thailand is so right, and yet Thai restaurants in London so often get it all so wrong. Strange, and frustrating. But the search goes on, and I have a few more likely contenders lined up. Come on mid-range Thai restaurateurs of London. Don't let me down again. One of my favourite places to eat within walking distance of my office - in fact, come to think of it, the only decent place to eat within walking distance of my office, is 32 Great Queen Street. 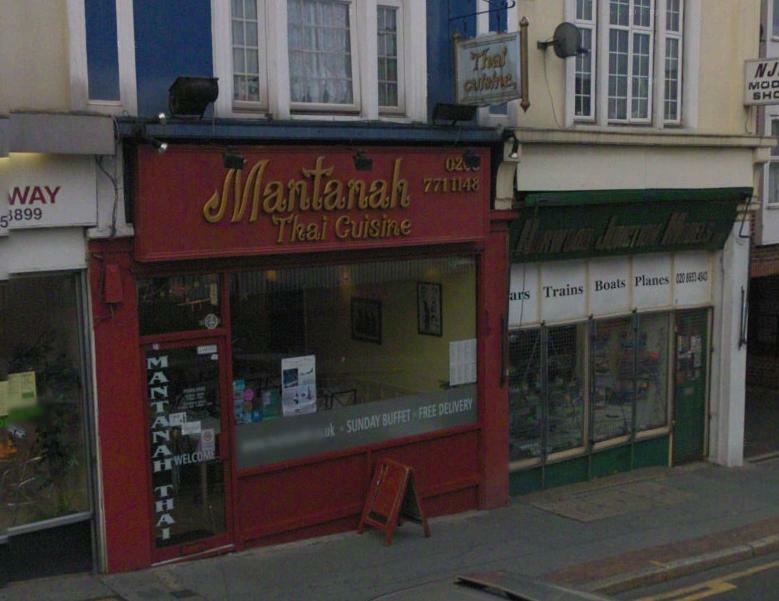 It's a lovely, buzzy place with charming staff and tasty, uncomplicated food and I've never had a bad meal there. One of the reasons I prefer it over its sister restaurant, the Anchor & Hope in Waterloo, is that you can book a table and therefore avoid the hassle and stress of fighting to get there early or queuing for hours or - even worse - being shown to the last two seats on a large table of friends who spend the evening talking loudly and passing food around to each other while you sip quietly on house wine and wish they'd hurry up and leave. This has happened to me once at the Anchor - it's not much fun. Sadly, the Canton Arms, the latest member of the family, takes its booking policy from the place in Waterloo and not the eminently more sensible GQS. I dashed out of work in a panic yesterday at 6pm, determined to get to Stockwell before the hordes, appetites whetted by so many good reviews, beat me to the front of the queue and ruined my evening. As it turns out, I needn't have worried - not a single other soul arrived to eat before we'd finished our main courses. But I was happy I made sure. The menu was short and to the point. Normally this is a good thing, but my heart fell on realising there wasn't any of the delicious game that GQS does so brilliantly - no roast pigeon or teal or anything else small and feathery. 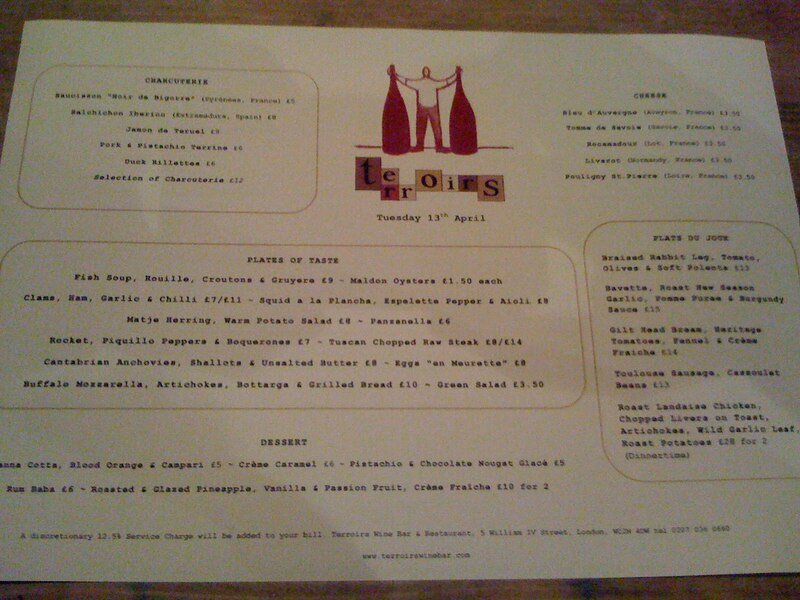 It read like a slightly more stripped-down and simplified version of the A&H and GQS menus, and while you can possibly defend this given its location and style (while GQS and the A&H feel like wine bars with a restaurant attached, the non-eating section of the Canton Arms is very much an old-fashioned boozer, and none the worse for it), it was still disappointing. They do, however, offer a familiar 4-hour roast shoulder of lamb for four and a steak pie for two, so it's nice to see some traditions continuing. My starter of smoked sprats were rustic in presentation and preparation but had a nice flavour. Unsure of the best way of eating them I ended up cutting off the heads and swallowing the body whole while holding onto the tail - it meant crunching through quite a bit of bone but when I tried an alternative filleting method I didn't get very far at all - the flesh was too pasty to separate from the bones. So I think I was right first time. A friend's cuttlefish, chickpeas and aioli was much easier to eat, with lovely tender seafood. Presentation was, again, pretty rustic and whatever sauce the squid was in had turned the flesh a strange shade of pink, but the overall effect was pleasant enough. Mains were far more interesting. 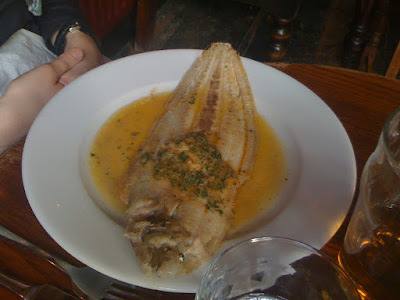 A whole grilled sole was cooked incredibly well, the flesh pulling off in satisfying meaty chunks and served underneath a good butter herb dressing. To get a lovely fresh bit of fish like this for £15 is a bargain, even though it didn't come with any sides and necessitated the purchase of a £2.50 bowl of greens. Onglet and chips was also of a very high standard. Chips in particular were superb and were happily dunked in the house Bearnaise (containing, rather oddly, tiny chunks of what I think were capers, which although hardly traditional didn't do any harm). The steak itself was, as you'd expect from this cheaper cut, rather chewy, so I could have done with a serrated knife to help with chopping it up. 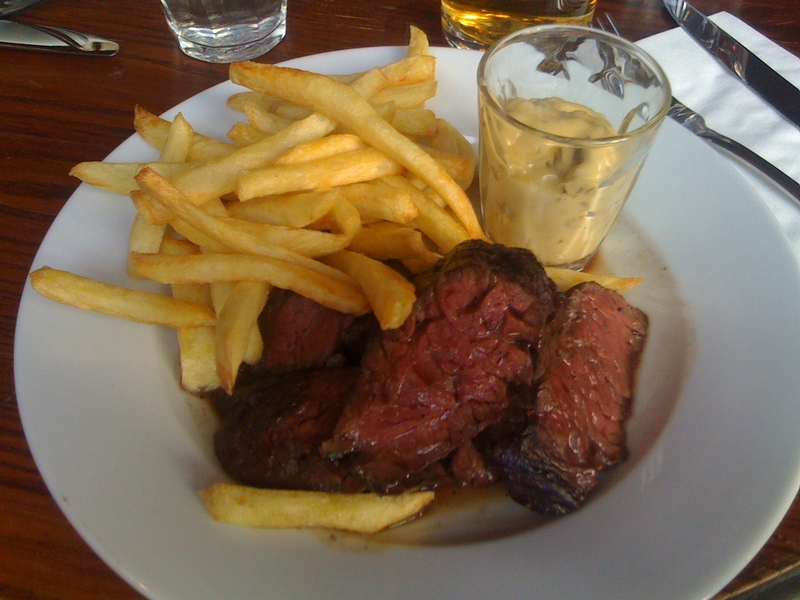 But it had a great flavour and had been cooked correctly medium-rare - just as well, as I wasn't asked how I'd like it on ordering. 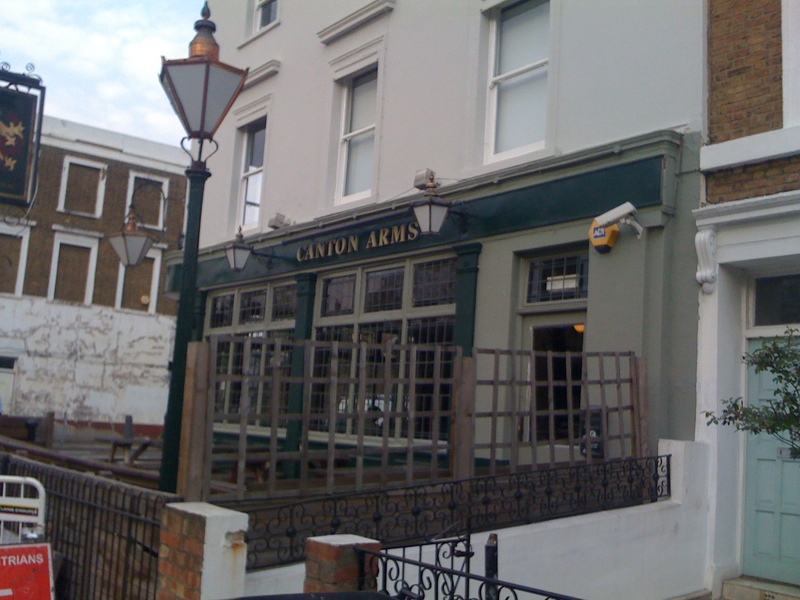 I liked the Canton Arms. Even as a kind of Great Queen Street 'Lite', it's a cut above most other gastropubs in London and uniquely for this group has managed to still retain the feel of a normal local drinking den whilst serving braised duck leg and foie gras. Ah yes, the foie gras. Some of you with a more than healthy obsession with the latest restaurant trends (don't worry, you're in good company here) will have heard that the Canton Arms does a foie gras "toastie" - a generous layer of duck liver inside slices of white bread, fresh from the Breville. 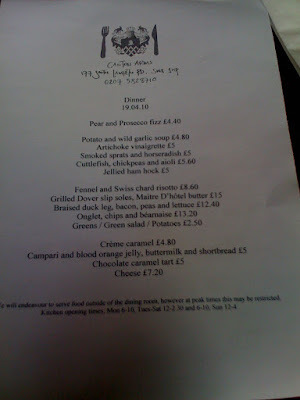 Unforgiveably, I had completely forgotten about this until I was walking out and spotted it on the bar menu. I suppose it provides a reason to return. Happily, despite the no booking policy, it's not the only one. What must it be like, I wonder, being told you’re the best in the world? Or rather, what must it be like to believe it? 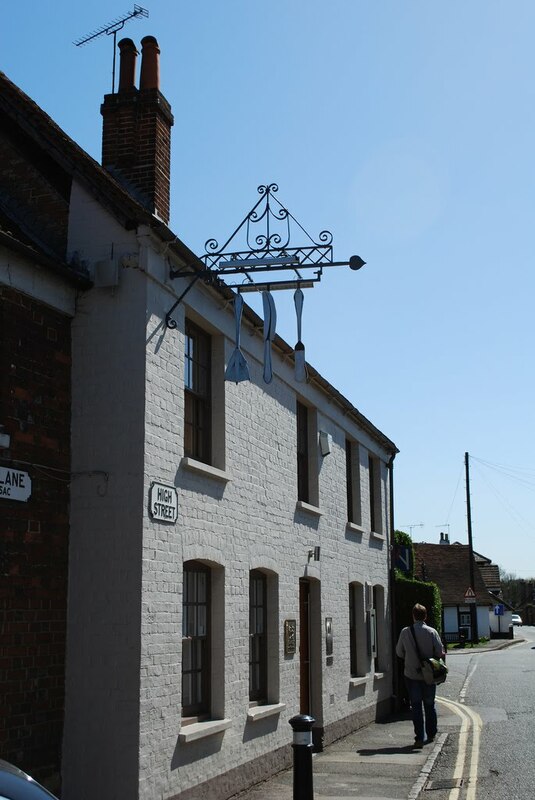 It has to be a somewhat surreal experience for the staff at the Fat Duck, as they polish the cutlery and vacuum the carpets and shake down the tablecloths, to be aware essentially that this is it. Nobody in the world does this, this restaurant thing, any better. Anywhere. 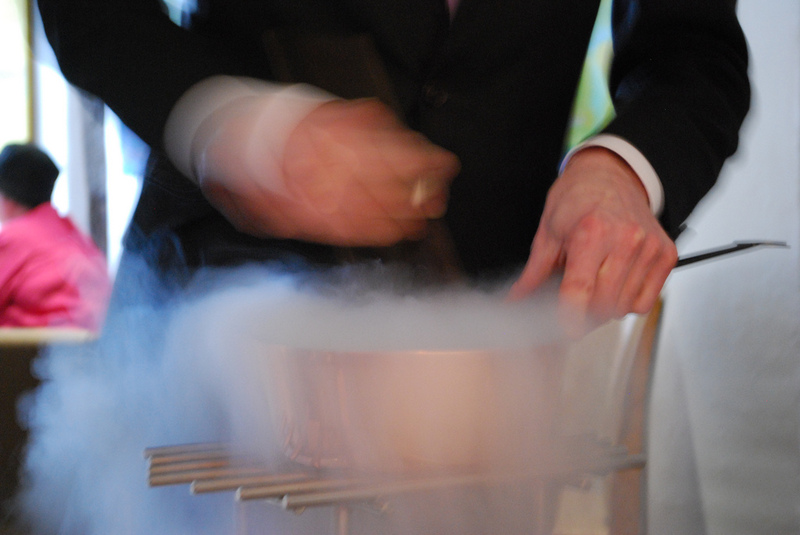 The front of house may appear charming and down to earth, like serving eggs cooked in liquid nitrogen and edible playing cards is the most natural thing in the world, but do you think behind the easy manner and practised ease of service there’s a twinkle of pride, that they really know how good they are? Do they even care? 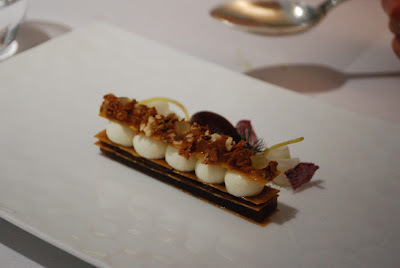 Of course, people will try and tell you that El Bulli, at least until later this year when it permanently closes its doors to the paying public and relaunches as Ferran Adria’s Convalescent Home for the Culinarily Insane, is better. This is absolute rubbish. 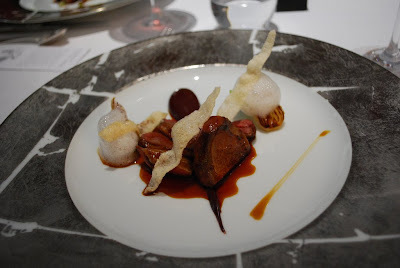 Not one of the bizarre and often downright disgusting “dishes” I ate in Spain last September could match even the weakest of the fabulous plates of food we were served yesterday afternoon at the Fat Duck. 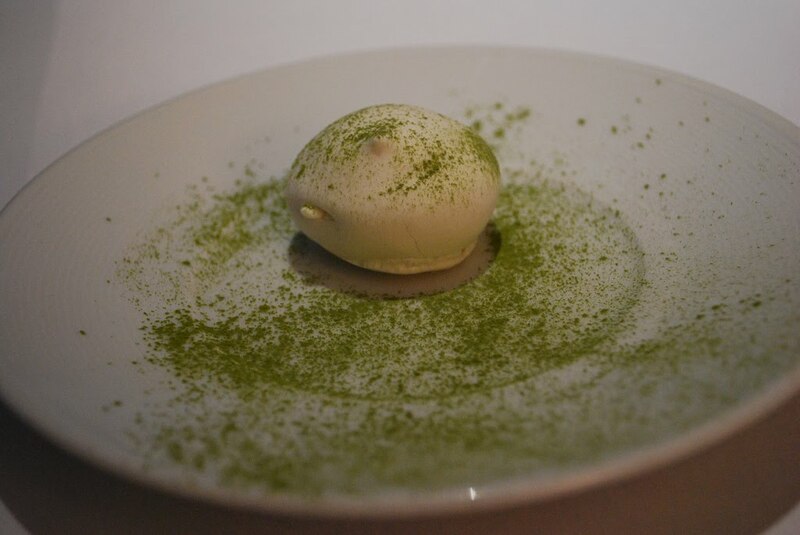 El Bulli serves toy food, technically impressive but vacuous experiments in form and texture, with all the personality of an eight-year-old with ADHD. The Fat Duck is a proper restaurant, its inventions never ever coming at the expense of form or flavour, and the warmth and wit of every element of every course had us grinning and giggling and cooing. Let’s start at the beginning. A “palate cleanser”, lime mousse poached in liquid nitrogen and sprinkled with green tea dust, was an extraordinary sensation. The intense cold was shocking, and if you ate it soon enough after it came out of the nitrogen bath you could blow great white clouds of lime-scented smoke out of your nostrils. Hilarious, and most importantly, delicious. 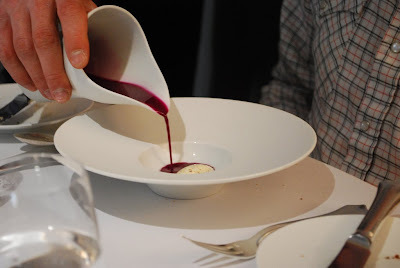 Red cabbage gazpacho with mustard ice cream was a balancing act of vinegar and salt, and one which worked magnificently. First to register was the mustard ice cream, giving way to the strongly pickled cabbage as the flavours warmed up and mingled in the mouth. 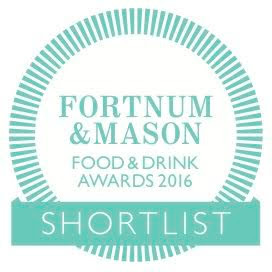 Simple – and very recognisable – ingredients, yet combined in such a way as to produce something memorable and unique. And then, a life-changing course. 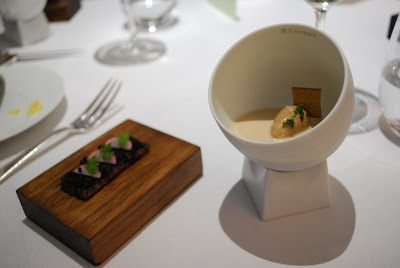 “Jelly of quail, crayfish cream” sat in a cute tilted bowl next to a wooden block supporting a delicate black truffle toast. Both of these elements, it almost goes without saying, were divine, the crayfish and quail mixture simultaneously having the rich musk of deep woodland and the evocative tang of a rocky sea shore. It brought to mind childhood holidays in Spain, and of late afternoons in the countryside after a rain shower. 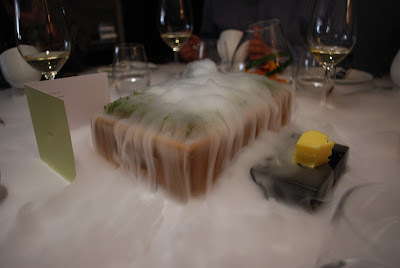 We ate this dish, though, as the entire table disappeared under a soft blanket of bright white nitrogen, frothing and bouncing in between glassware and cutlery and spilling onto our laps. It was cleverly scented with a kind of soily, oaky, woody extract and for a few magical seconds it was like eating off the surface of a cloud. It was, quite literally, heavenly. 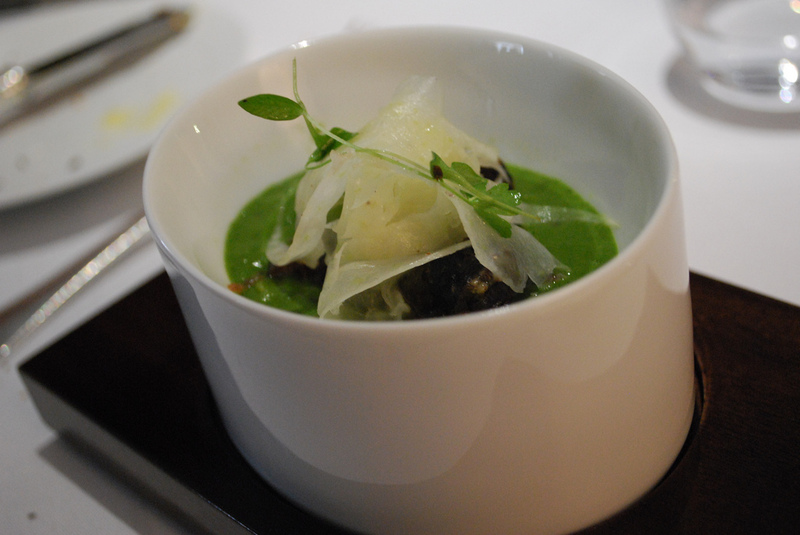 Next up, the famous “snail porridge”. Nowhere near as weird or challenging as its rather provocative name suggests, it was a wholesome, delicious bowl of deeply flavoured pea risotto topped with a couple of moist, perfectly seasoned snails and an aromatic topping of shaved fennel and Spanish ham. Gorgeous. Roast foie gras with rhubarb had excellent, perfectly cooked foie and for want of a better word the most “rhubarby” rhubarb sauce I’ve ever tried. This is the kind of rather understated (albeit delicious) dish that tends to get forgotten about amidst the theatrics elsewhere but was nevertheless satisfying and impressive in its use of texture and technique. 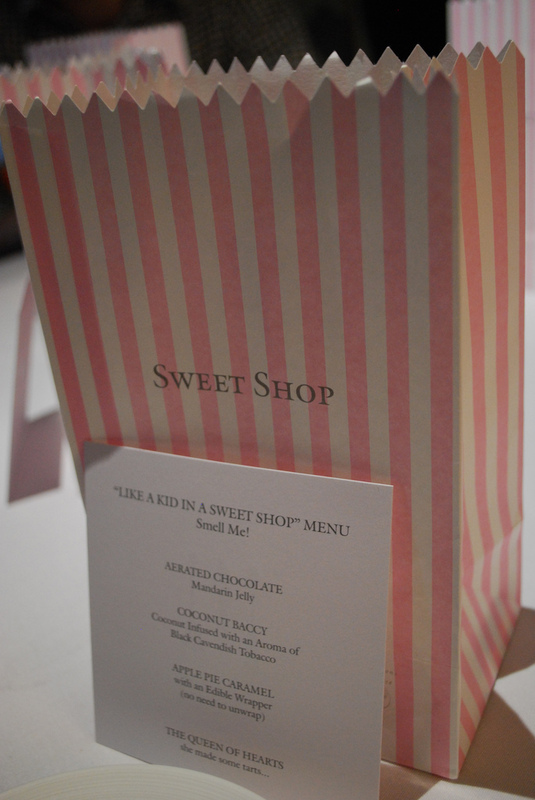 The Mad Hatter Tea Party, of the Feasts television programme fame, was utterly magical. First of all we were presented with a bowl of intricately arranged delicacies, including a strongly-scented cauliflower and mushroom mousse and a kind of pressed ham terrine. Then a waiter arrived with a glass-topped box containing what looked like gold wristwatches, but were in fact highly concentrated beef stock covered in gold leaf. 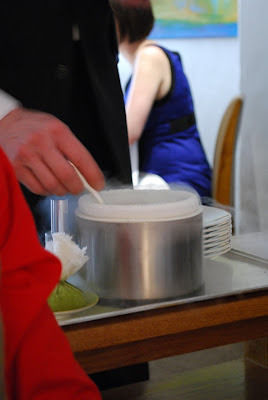 The “watches”, once dunked in hot water, dissolved into a hot beef “tea”, which you then poured into the bowl. 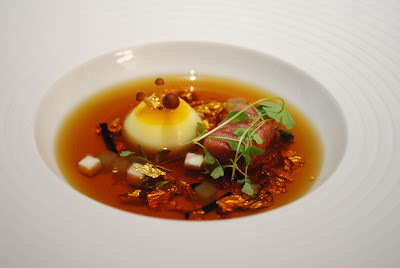 This wasn’t just a gimmick – the concentrated stock had an amazing flavour (sweetened with Madeira too I think) and the rehydration from the concentrate enlivened the flavours and lifted the whole dish to something bordering on genius. I couldn’t stop giggling it tasted so astonishing. “Sounds of the Sea” is a Fat Duck classic, and it’s very easy to see why. 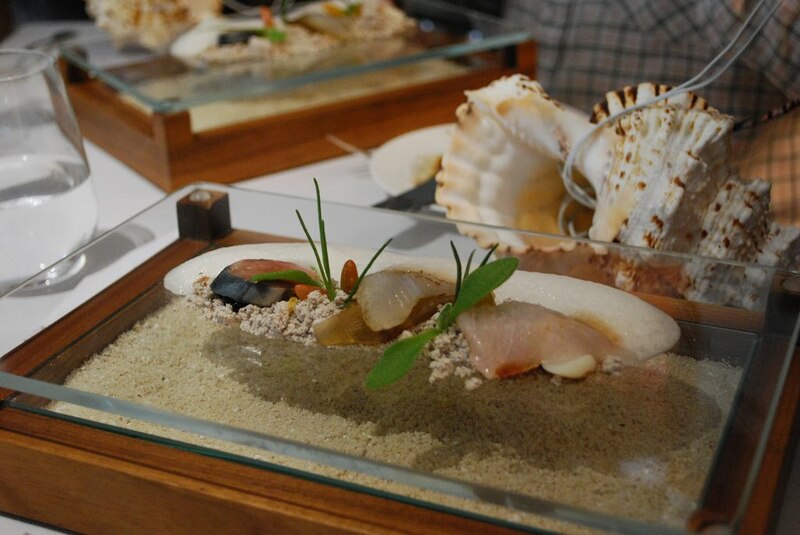 A slice of raw tuna, halibut and mackerel (each stunningly fresh, the finest sashimi I’ve ever had the pleasure to eat in their own right) were served on top of ‘sand’ made out of spiced tapioca and a shellfish foam. 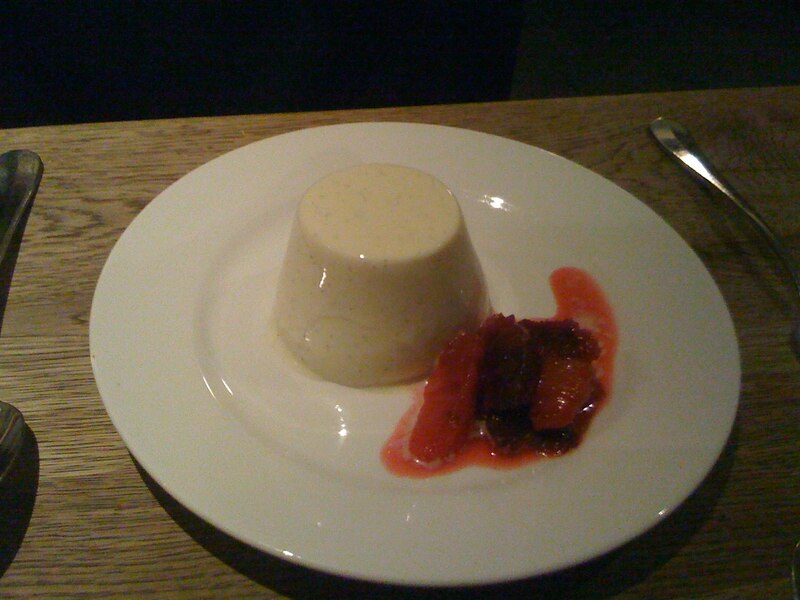 You eat this dish listening to a soundtrack of seagulls and crashing waves on a provided iPod. Sounds silly? Well yes, it was a bit, but I was having so much fun by this point I just kind of rolled with it. Yes, I’m eating fake sand from a glass plate whilst listening to seagulls on an iPod hidden inside a large conch shell. So? 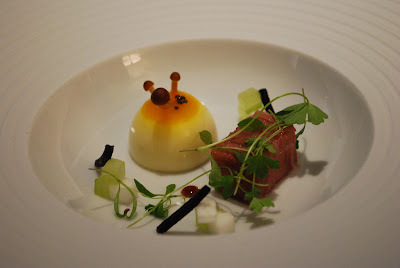 I can see why salmon poached inside liquorice wouldn’t be everyone’s cup of tea. 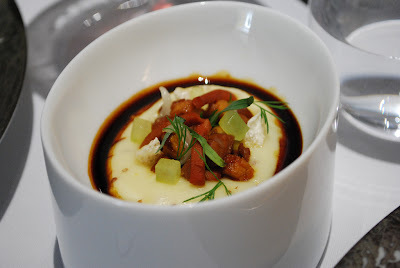 Of all the dishes yesterday, this was the most bizarre in terms of flavour combinations, and ironically this was the one most reminiscent of something that may have come from the kitchens at El Bulli. 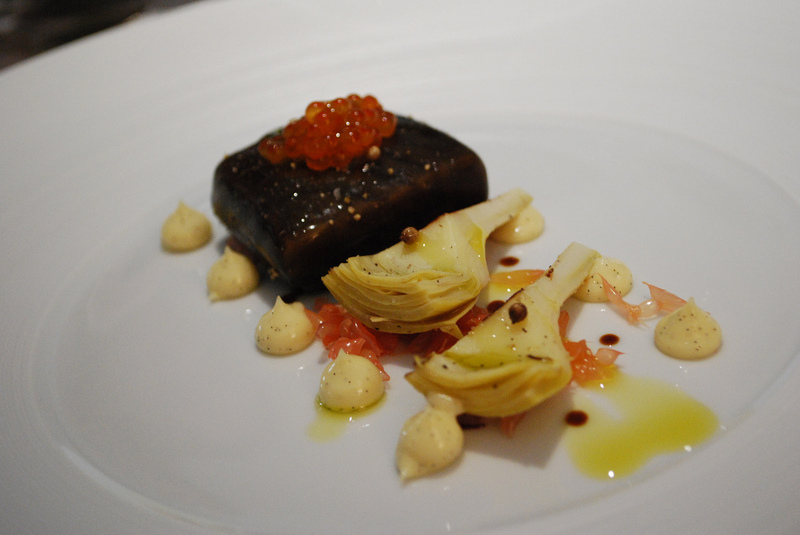 The salmon was, as you’d expect, perfectly cooked to just pink, and the liquorice was actually a very subtle note that was really more of a lingering aftertaste than a strong primary flavour. The artichokes cut through the fatty salmon very well, and more texture was provided in the form of tiny crunchy coriander (I think) seeds. It was very good where everything else had been mind-blowing. Hardly a criticism really. The next two courses were actually served simultaneously (3 of us got one, 3 the other) and necessitated a spot of communal swapsies, which was a nice homely touch. Anjou pigeon was a superb bit of bird and came with a stunning black pudding and chocolate sauce. And a lovely pink lamb chop was served on a bed of some sort of clever cucumber remoulade thing – you don’t often see lamb and cucumber together outside of a middle-eastern wrap, but it made perfect sense here. 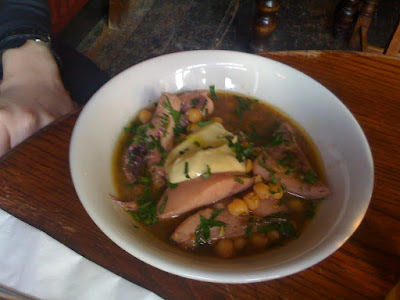 The lamb was served with what they bashfully described as “mash”. But this was no ordinary mash. This wasn’t even merely an excellent mash. This was mash of the gods, king of mash, the mash to end all mash. Light, frothy, cheesy and studded with tiny cubes of sweetbreads, it was hard to see how this could be improved upon at all, and certainly beats anything so-called mash expert Joel Robuchon ever did into a cocked hat. The final proper main course was some godly pork belly on spelt, garnished with a couple of slices of earthily fresh black truffle. I can’t go on and on about every dish because I’m running out of superlatives, but yes it was the best pork belly I’ve ever had. What did you expect? 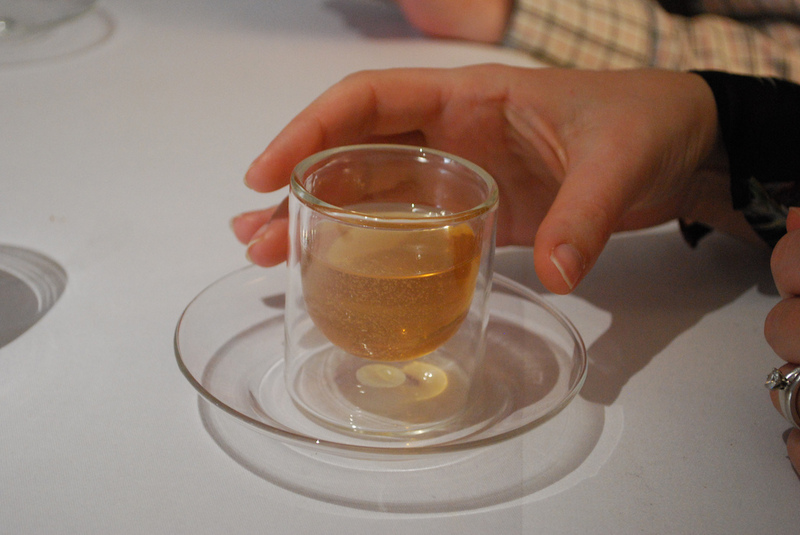 “Hot & Iced Tea” was a bit of clever technical wizardry matched with some rather nice tea. It looked like a normal glass of liquid, and certainly smelled like tea, but one half of it was cold and one half was hot. And I don’t mean hot below or above the cold in layers, I mean vertically down through the drink, the left hand side was cold and the right hand side was hot. Don’t ask me. We had another mix and match dessert selection for the next round, with three of us receiving “Taffety Tart” and three a kind of rhubarb tart thing. 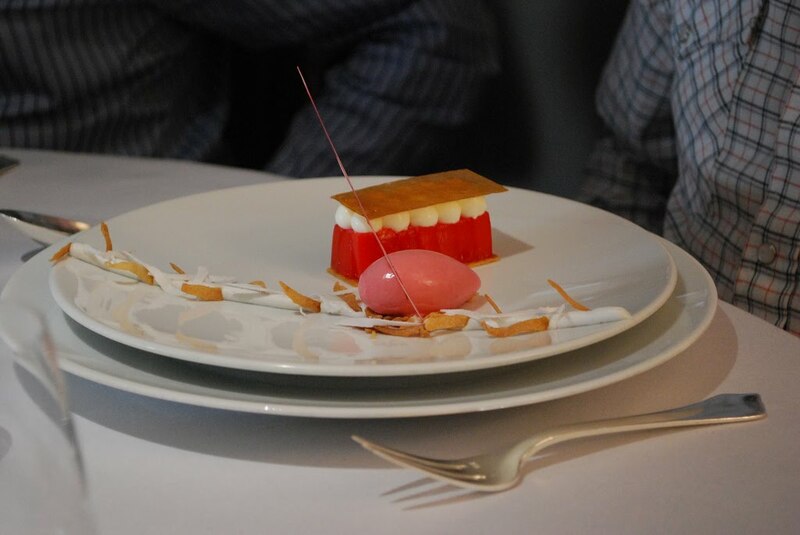 The rhubarb was my favourite of the two, with more of that astonishing concentrated rhubarb flavour and a deliriously pretty presentation. And after that, three of us had a “BFG” (Black Forest Gateau), as first seen in a slightly modified form on Heston’s In Search Of Perfection TV series, and three of us nitro-scrambled eggs with bacon and pain perdue. And yeah, it was all brilliant. 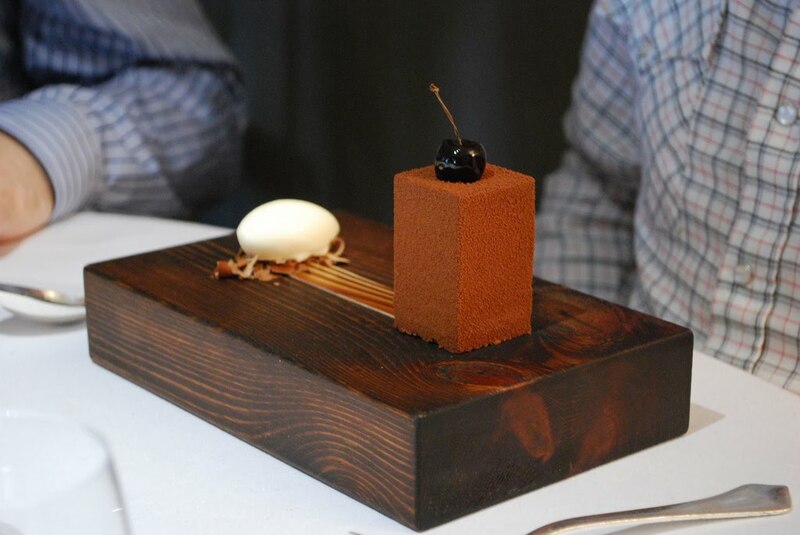 Oh – just in case you were wondering, that cherry stalk on the BFG is edible. It’s made from dried vanilla pod. The attention to detail in this place is unbelievable. 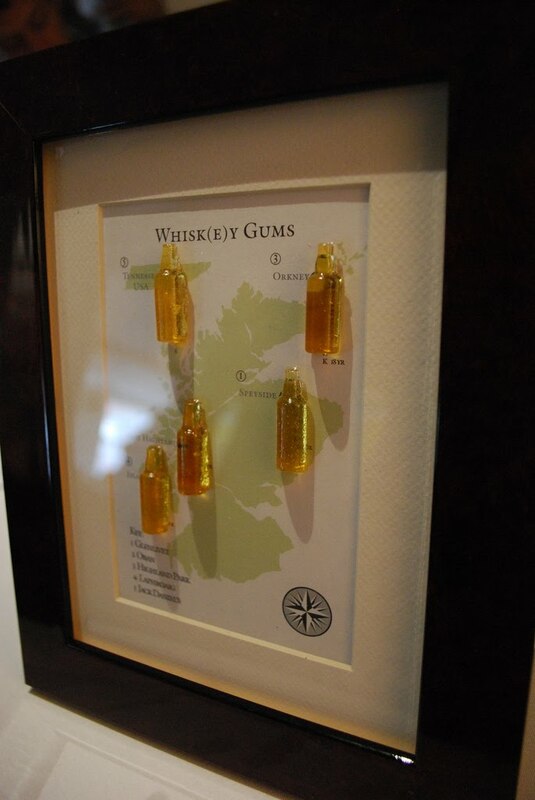 The last course I personally ate in the restaurant was this clever whisky map, with little wine gums made from various different varieties which you peeled off in a designated order. It’s interesting just how much of the flavours of the original product survived the ‘wine gumification’ and made an extremely enjoyable end to the meal. Or at least, nearly the end. I opted to take my final course home with me, as it came in a handy little bag marked “Sweet Shop” and contained various chocolate and confectionary items (all made in the restaurant) which I thought would be an idea to share with my flatmate. So later that evening we tried a toffee in an edible plastic wrapper which tasted of apple, a bag of coconut flavoured ‘tobacco’ infused with a real tobacco flavour, and most amazing of all what looked like a thick playing card (complete with very realistic design) but was actually a slice of white chocolate with an impossibly thin layer of raspberry jam inside. It brought giggles and gasps as I’m sure was intended. 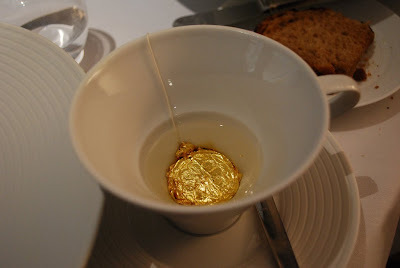 So, the Fat Duck, the Best Restaurant In The World. Why not. Yesterday afternoon I spent four deliriously happy hours eating course after course of some of the greatest food I’ve ever tasted in my life, and almost as soon as it was over I wanted to do it all again. You can’t avoid the comparisons with the other pretender to the crown, so I won’t – El Bulli is pretentious and awkward where the Fat Duck is bold and refined; jarring and unpleasant instead of accessible and rewarding; infantile and daft rather than whimsical and playful. The £291 I spent here (£150 for the food, the £90 wine flight, a whisky and service) was worth every penny, of course, but it’s painful to recall that the last time I spent this much on a meal I left unsatisfied, unsettled and slightly queasy. I learned my lesson, and so should you – if you want to eat the food of the gods, dishes of warmth and clarity and singing of sheer (often literally) gold-plated excellence, there really is nowhere else. That twinkle in the eye of the staff I mentioned earlier, it is pride. It must be. You can hardly blame them. When you book a table at Terroirs, they ask you if you want to sit upstairs or downstairs. Having never been, it seemed sensible to reply "whichever is nicer", although it seems this question flummoxed whoever was manning the phones somewhat. "We'll need the table back by 9pm. Will that be OK?" I suppose it would have to be. 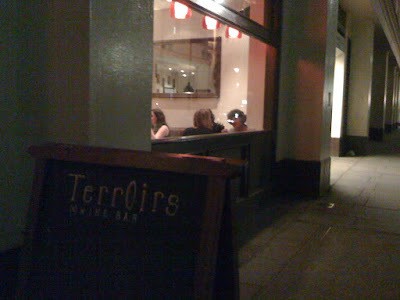 After descending an impossible amount of stairs to a basement room so subterranean it had the atmosphere of a reclaimed mineshaft, I can confirm that downstairs at Terroirs is indeed bigger, and yet due to the remarkable popularity of this restaurant & 'natural' wine bar almost every seat was already taken. I was led up yet more stairs to a mezzanine level towards the back, and to a table that appeared to have been designed specifically for André the Giant. After a few moments gazing across a surface that only just cleared my chin from a sitting position, I called my waiter back and asked to be moved. Later in the evening, a second couple would be seated at the same table, make similar observations on the relative height of the chairs and dining surface, and also ask to be moved. Maybe Terroirs is abnormally popular with acromegalics, or perhaps it's just an elaborate practical joke. Who knows. Sadly that table wasn't the only disproportioned or baffling thing about my meal that evening. 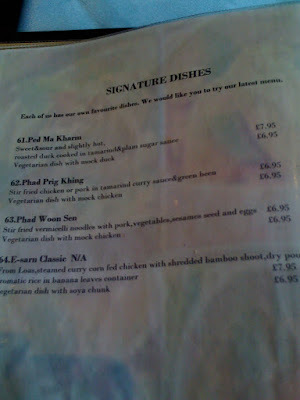 First of all, I found the menu quite difficult to decipher. 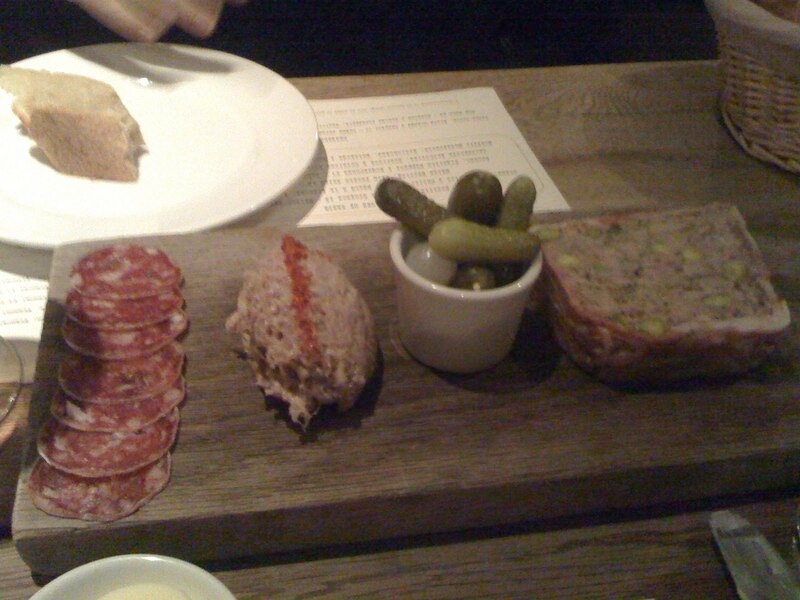 It was split into 'Charcuterie', which had five different cold options ranging from £5-9 each and a selection of three (you couldn't choose which) for £12; an area which looked like main courses labelled "Plats du jour" containing things like steak and potatoes and their famous cassoulet; and "Plates of taste" which as far as I could make out were just slightly smaller main courses, salads and soups. 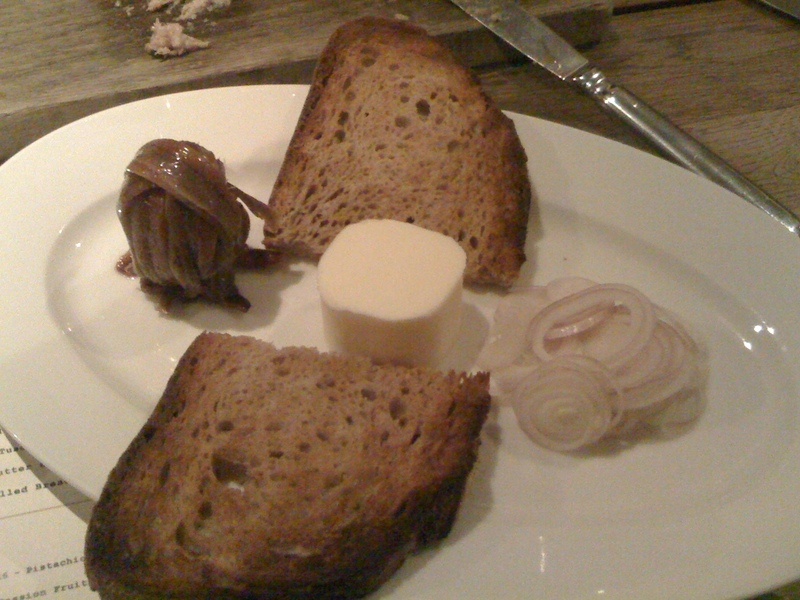 What we have here is a huge mound of preserved anchovies (very nice they were too, to be fair), a few slices of shallots, half a pound (or so it seemed) of unsalted butter and just two half-slices of bread to spread it on. If I had divided equally all the provided ingredients onto those tiny bits of bread I would have ended up with a towering mass of traumatic salty, buttery mixture, both impractical to eat and probably fairly disgusting too. 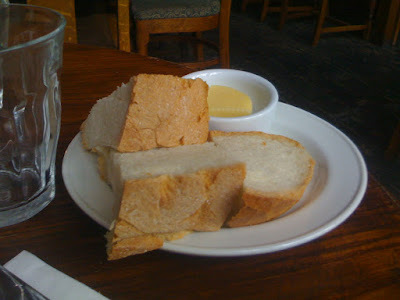 I don't know if I could have asked for more house bread without being charged another £1.50, but I wasn't going to risk it, and so we just shovelled in as much butter and anchovy as we could without gagging and left it at that. 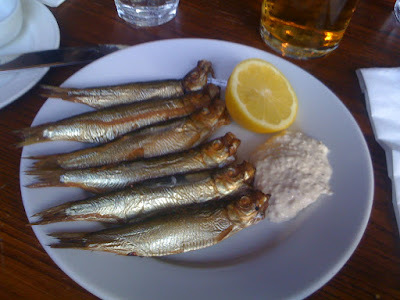 I estimate we left about half the anchovies and 3/4 of the butter. 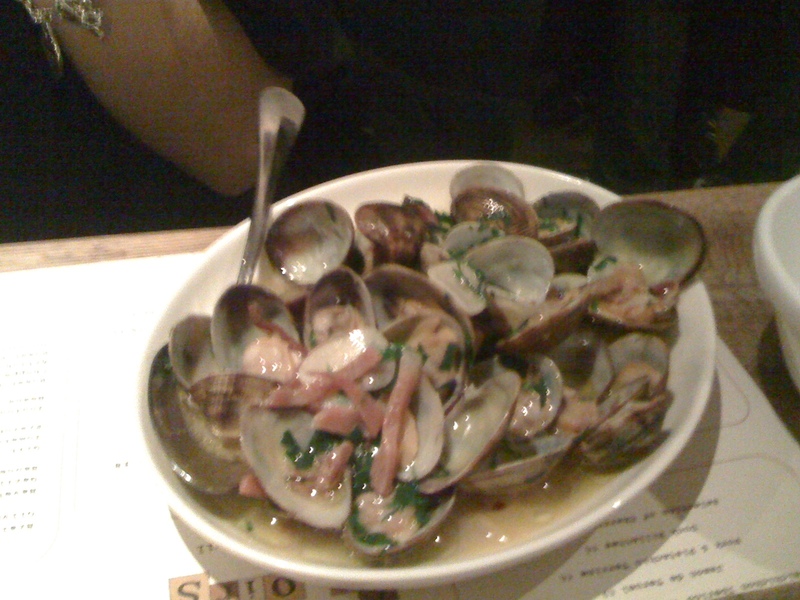 Clams, ham, garlic and chilli were interesting enough and had nice fresh clams, but there was probably about a tablespoon of edible ingredient here for your £7. 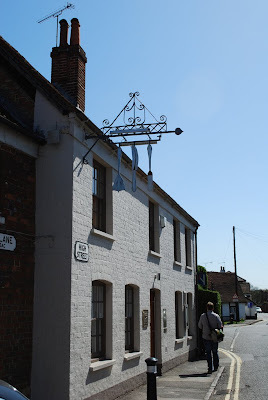 I realise that most, if not all, of my issues so far can be explained away by bad ordering, but we were not offered any suggestions from the staff and I do think that the menu was confusing. Well, that's my excuse. Given that after the "mains" we were desperate for something to wash away the salt and butter, and to fill up our stomachs (respectively), we ordered desserts. Panacotta was pretty good, with a nice bitter Campari and orange accompaniment which did its job well. 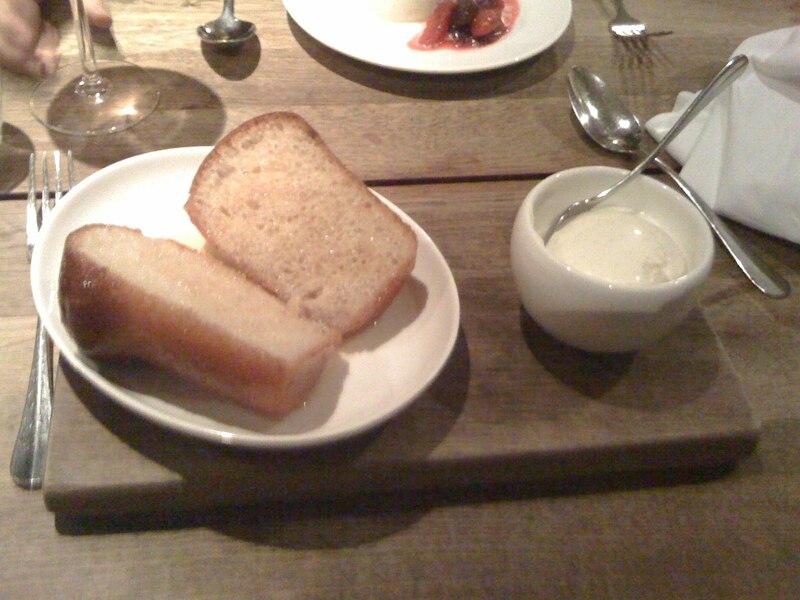 Rum Baba, sliced in half and doused with rum at the table, was a bit more of a chore. The first couple of mouthfuls were delicious, moist and sweet and with a pleasant burn of alcohol. But after a while the dense cake became hard-going, and the pot of cream wasn't light or sharp enough to cut through the stodge and make things any easier. I left about half of it. The bill came to about £60, which is a fair price I suppose but the whole experience had left me extremely uncomfortable, and I'm not just talking about that table. The dishes, though well-cooked and using good ingredients, were clumsily constructed and often unforgivably imbalanced, making the eating of them more of a challenge than a pleasure. 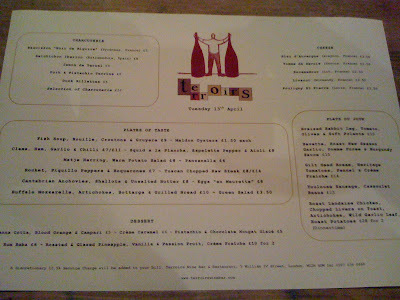 I really wanted to like Terroirs, and clearly plenty of people do, but perhaps in the future I'll pay more attention to their excellent wine list (Terroirs at least have the distinction of selling me the first and only glass of "natural" wine I've ever enjoyed - a Vouvray - and their rosé was equally impressive) than the food menu. In fact, if you approach Terroirs as a wine bar that can serve you the odd bit of food to stop you falling asleep on the train home, then perhaps you'll enjoy it more than I did. 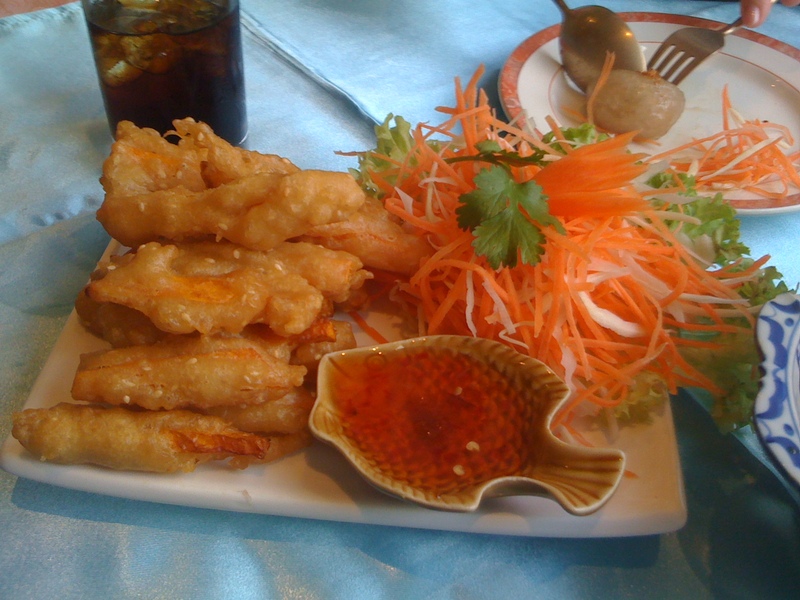 Order carefully and make sure you're clear on the portion sizes, and you'll probably get along fine. Oh, and watch out for that table.